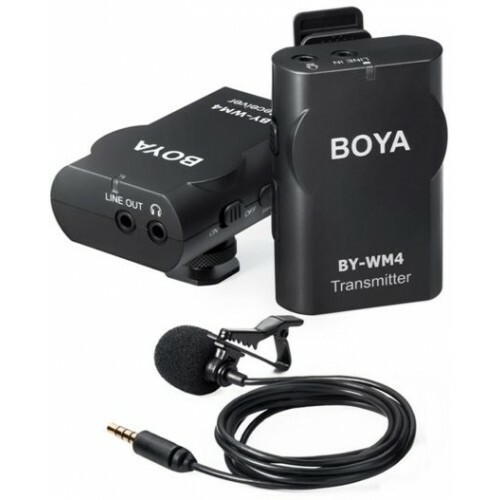 Boya BY-WM4 Wireless Microphone kit comes with omnidirectional lavalier mic + transmitter + receiver + windscreen + hard carrying case. With wide frequency, high sound sensitivity, it is designed for reliable and trouble-free performance. It can work with smartphone, tablet, DSLR camera, audio recorder, PC & others audio/video devices. Support real-time monitor. NEW BOYA BY-WM4 universal lavalier wireless microphone mic with real-time monitor recorder ios iphone 7 7 plus 6 6s smartphone tablet dslr camera camcorder audio recorder pc video.